Talented young trainer Clare Cunningham is hoping a last-minute decision will bring a change of fortunes at Hawkesbury on Thursday for both her and her sole representative. Cunningham’s late move to start lightly-raced Soir De Lune ($3.80 on TAB fixed odds) in the J.K. Williams Contracting 3YO Maiden Handicap (1600m) meant a riding switch, with Tim Clark replacing her jockey partner Jason Collett. “I wasn’t sure about running Soir De Lune until the last minute, and Jason had already taken the mount on John Thompson’s Hiero,” Cunningham explained this morning. Collett has partnered Soir De Lune in all five public appearances; two trials and three race starts. Cunningham, formerly Sydney foreperson for then leading Melbourne trainer Peter Moody, has quickly established herself as a trainer on the rise. Based at Warwick Farm, she has prepared 20 winners from 78 starters this season (prior to Tenorino, with Collett aboard, running in the last race on her home track today). However, she is yet to break her “maiden” at Hawkesbury, saddling five placegetters from only six starters (four from five this season) at the provincial track. Aptly-named Soir De Lune (a French perfume and her dam is Moon De French) is also a maiden, having been placed at all three starts to date – on provincial and country tracks – and has been favorite in two of them. 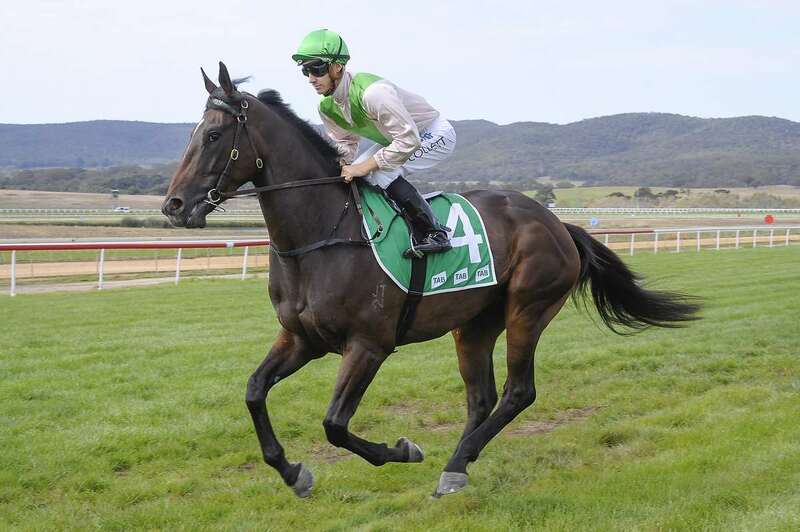 He debuted when third to Bachelor in a 1200m Maiden against his own age at Wyong on April 12, then filled a similar placing behind subsequent Wagga carnival winner Hemmerle over 1300m at Goulburn on April 22. Soir De Lune made it three placings from as many starts when narrowly beaten by Clifton County in a 1400m Maiden at Kembla Grange on April 26. Stepping up now to 1600m, the Your Song gelding gets his chance to break through tomorrow at what is likely to be his final start this preparation. “Soir De Lune suffered a really bad injury and didn’t race as a two-year-old,” Cunningham explained. “He is a giant and weighs around 600kg. This is his first racing preparation and is still learning and isn’t yet fully furnished. I’m sure 1600m will suit him, but he will definitely be a better horse at his next preparation.” Clark, a Group 1 winner on Shoals in Adelaide last Saturday, has a 17% win record at Hawkesbury this season. Hawkesbury trainers Scott Singleton and Garry White, the leading local pair in this season’s premiership, have excellent chances to add to their tally at tomorrow’s meeting. Singleton (8 wins) has withdrawn lightly-raced Tavistock filly Stock Up from Soir De Lune’s race to instead tackle older horses over the slightly longer 1800m of the Irresistible Pools and Spas Maiden Plate (1800m). She has raced well without winning at all three starts this campaign, the latest when fourth to Stryke Rock over 1400m at Royal Randwick on April 25. Christian Reith has partnered her in those races (in fact at all five starts) and has the mount again tomorrow. Singleton also runs other Reith bookings Itasca (2000m Grange Growing Solutions Class 2 Handicap) and Jaxim (1400m Hawkesbury Equine Veterinary Clinic Class 1 Handicap). White (7 local wins so far this season) will be represented by Military Academy (Corey Brown) in the PF Formation Sand and Concrete Class 2 Handicap (1100m). The pair teamed for an impressive Newcastle victory yesterday with Military Academy’s older sister And So It Goes. Three-year-old Military Academy outclassed three rivals as a $1.30 favourite in an 1100m Maiden at home on April 5, and has drawn nicely for his assignment against stronger rivals this time. Tye Angland (10 Hawkesbury wins so far this season) has an excellent chance to add to that number. Though he has lost one of his best prospects (Home Made from the Windsor RSL Club Benchmark 60 Handicap, 1600m), he still has Ahmad (opposing Soir De Lune), Georgica (2000m Class 2), Happy Hustler (1800m Maiden Plate), Toroso (1300m Abax Contracting Maiden), Thrilled 1100m Class 2), and Sweet Deal (1400m Class 1). Recent first-up Gosford winner Thrilled is prepared by Godolphin’s head Australian trainer James Cummings, who, with 16 wins, leads co-trainers Gai Waterhouse and Adrian Bott (11) and Team Hawkes (10) in the trainers’ premiership. The rail is in the TRUE position, and the track this morning was rated a “Good 4”. The penetrometer reading was 4.89. A total of 2mm of irrigation was put on the track in the last 24 hours and 8mm in the past week. There has been no rainfall in the same period. RACE 1: AFRICAN ACADEMY, Soir De Lune, Ahmad. RACE 2: GEORGICA, Miss Shanti, High Dude. RACE 3: STOCK UP, Ombudsman, Happy Hustler. RACE 4: TOROSO, Barnabas, Tactical Formation. RACE 5: THRILLED, Choice Harvest, Inquiry. RACE 6: C’EST DAVINCHI, Bullseye Score, Music. RACE 7: POLAR BLAST, Arigold, Bodhi Blue. RACE 8: PHOENIX CHARM, Golden Organic, Extreme Measure.